In 2016, a 3 story balcony, which was original to the property, was restored to its grandeur...and then, a garden in the sky began to float and flourish on Lafayette street. Luna Botanicals is proud to have designed, installed and currently maintain this floating garden on such a stunning building. Ferns, dramatic plants so signature to New Orleans, perfectly compliment this historic gem nestled in the heart of the Arts District. Daily watering keeps this lushness thriving, provided by a custom 3 story Luna Botanicals irrigation system. 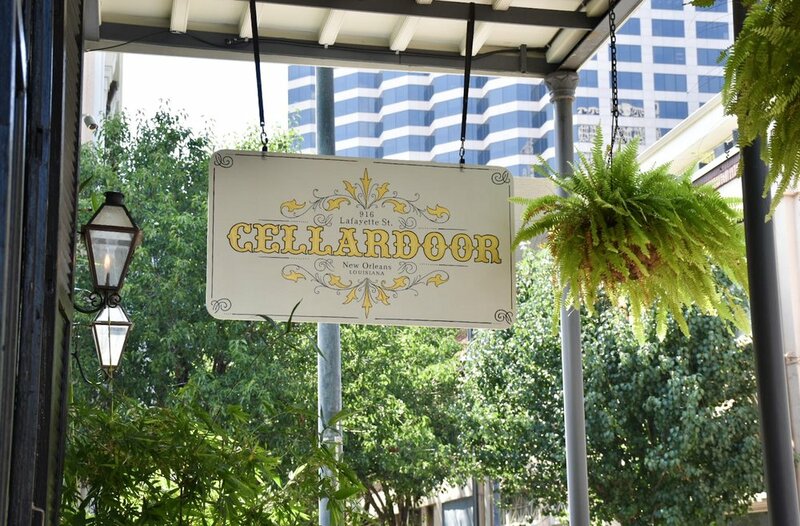 Most likely built in the early 1800s, Cellar Door radiates history, beauty and soul. Once a brothel, this historic property is now a Contemporary Southern restaurant and cocktail bar...and one of our favorite spots in the city.